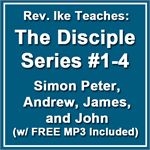 In the second bundle of 4 MP3s from Rev. 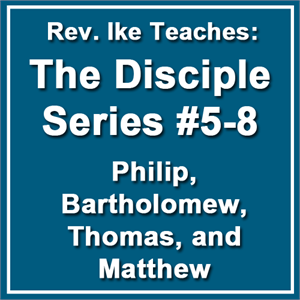 Ike's amazing esoteric study, he reveals the spiritual (Mind Science) interpretation of the Disciples Philip, Bartholomew, Thomas and Matthew, as YOU and the disciplines or aspects, qualities, faculties of YOUR MIND! 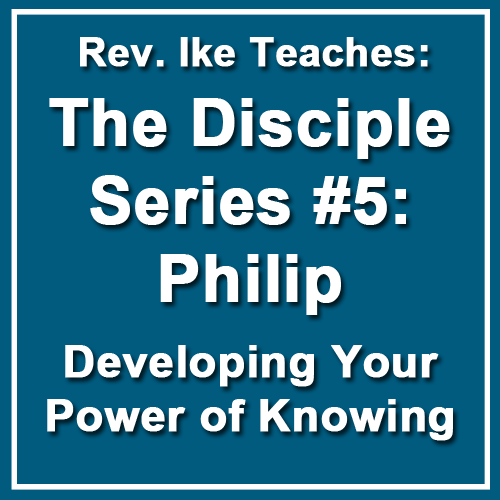 This is the study of Jesus’ 5th disciple, Phillip, who represents YOUR power of expression (your power of knowing). You will discover the spiritual meaning of the words of Jesus and engage in consciousness-raising affirmations with Rev. Ike. You will come to understand the power of your thoughts and your power to demonstrate and manifest the good you desire. 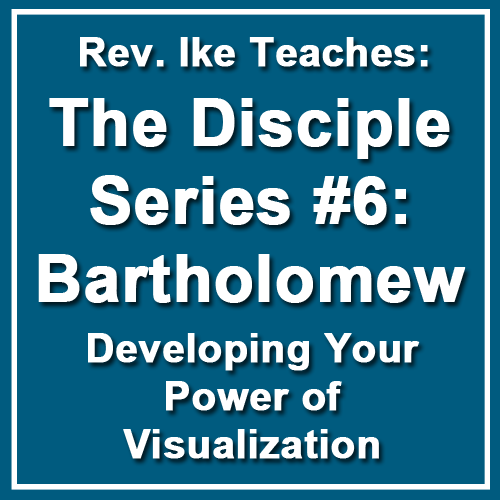 This is the study of Jesus’ 6th disciple, Bartholomew, who represents your mental faculty of Imagination, which we often call Visualization. Rev. 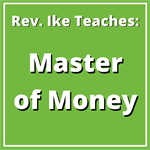 Ike teaches how to use your imagination correctly, and explains how you must apply visualization in your daily life. You recognize that you have the power to imagine perfect good into expression, manifestation and demonstration! 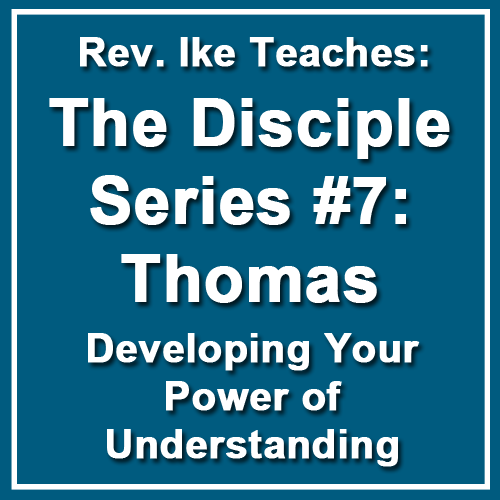 This lesson is the study of Jesus’ 7th disciple, Thomas, who represents your Power of Understanding. Listen to this teaching to learn the true meaning of the 'I AM' principle. Once you understand in your spirit that “My thinking is the God of my experience,” you will be empowered to be what you want to be, do what you want to do, and have what you want to have! This is the study of Jesus’ 8th disciple, Mathew, who represents the WILL Power faculty of your mind (the will of God, the will of good). As Rev. 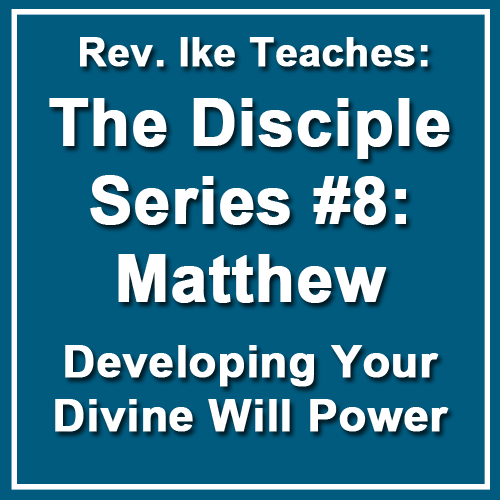 Ike's reveals the esoteric meaning of Jesus' words, you will understand at a deeper level the spiritual truths of the Bible and the Laws of Mind Science that determine your circumstances. A consciousness-raising lesson! 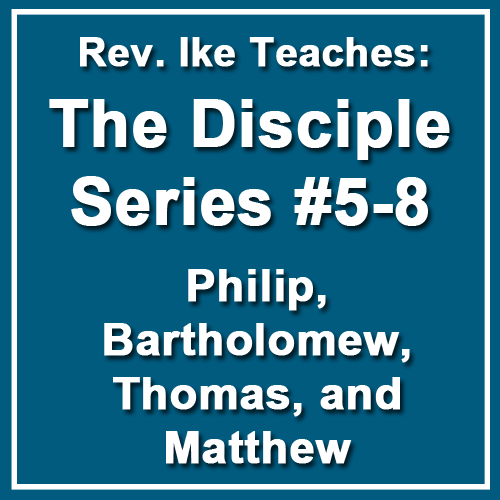 The first 4 lessons (including BONUS introductory lesson) of Rev. 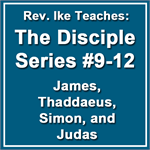 Ike’s acclaimed DISCIPLE SERIES — his esoteric (spiritual) interpretation of the Disciples Simon Peter, Andrew, James and John — as YOU and the qualities or attributes of YOUR MIND! In this final bundle of MP3s of this engaging series, you will achieve mastery over the last four Disciples — James, Thaddaeus, Simon and Judas — and you will learn how to correctly apply them in your daily life to manifest the blessings you desire.